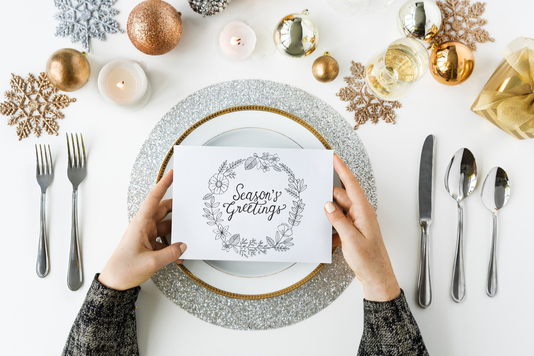 It’s officially the season for giving, and anyone who gives a gift card for your restaurant ends up giving to your bottom line, too! For that reason, owners of restaurants and franchises have a strong incentive to push gift card sales in the weeks leading up to the Holidays. By using restaurant funding, business owners can capitalize on marketing campaigns and sophisticated digital strategies. They can also develop consistent systems and practices that help target the right individuals and strategically lift gift cards sales. 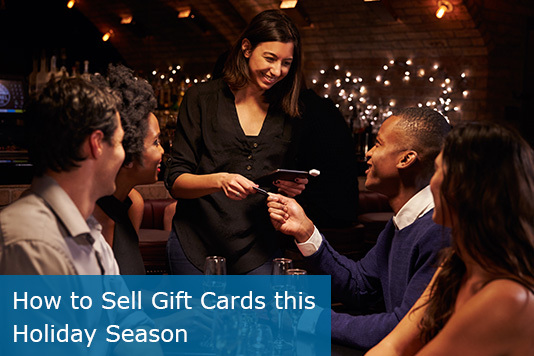 So, if you want your restaurant to see a lot of full tables following the Holiday season, here are a few strategies you can use to boost gift card sales. The first step in raising gift card sales is being intentional about it. Many restaurant owners simply print out a bare-bones sign and consider their work done. While signage is a crucial component (we’ll get to that in a second), you want every step you take to be deliberate. In other words, you need an actual strategy. Take a moment to sit down with your general managers and marketing team. Determine what sorts of triggers get people to buy gift cards. Also, narrow down a few segments who are more likely to purchase gift cards than others, such as parents of college students. Then, use this information to determine an overall theme and strategic approach to your gift card sales. By using consistent branding elements when pitching gift cards to people, you can increase their recall of your messaging and nurture their willingness to buy over time. As we said, displays are important! You want prominent displays as people enter and exit the restaurant. A table topper nurtures interest in gift cards throughout the entire meal. You can also use signage on the exterior of your restaurant windows or sidewalk to encourage people who have not dined with you recently to still purchase a gift card. Connecting the imagery of these signs — such as color scheming and typefaces — to marketing assets online and in-print will help you build on each exposure. No one likes being blatantly sold to during their meal, but they may appreciate a helpful reminder for gift cards. Encourage all servers to mention the possibility of purchasing gift cards to their tables, especially before they receive their checks. Incentives like a free dessert with gift card purchase over $20 strongly encourage people to consider buying, especially if the promotion is within a limited window. That way, they can buy a gift for someone and give a little treat for themselves. Similarly, offering giveaways for free gift cards through social media contests and in-location sign ups can have people mulling over whether they want to buy an additional gift card to the one they might win. These contests work particularly well if a gift card purchase is the fee for entry! Highlight any winners prominently on social media to raise awareness for your gift card program. If you can run several contests in quick succession, like one giveaway a week until mid-December, then you have generated tons of low-cost marketing exposure. Digital marketing can provide huge returns on investment for gift card sales. Firstly, ensure that your website design includes a prominent button or banner for gift card sales. Highlighting this section with a special color scheme or graphical embellishments like a gift ribbon can serve to draw the eye. Then, create eye-catching social media posts that encourage gift card purchases. Try to use a minimal amount of text on the image and instead draw the eye to a color-rich image of the card itself. You can use social media advertising to boost these posts and target high-value demographics. Simply look to your customer base for people most apt to come to your restaurant, such as women ages 45 and up, and choose those targeting options for your social media ads. Email marketing similarly offers a low-cost method for encouraging gift card sales. Try to capture email subscribers throughout the year to make this strategy more effective. Finally, ensure that gift cards can be purchased conveniently online as well as in-store. Someone can purchase their gift online on an impulse and still have it be a thoughtful, useful gift for someone they care about. When it comes to marketing, you almost always get out something in proportion to what you put in. If you are reluctant to invest in gift card marketing, you can end up with poor awareness among what could have been your best customer base for gift card sales. 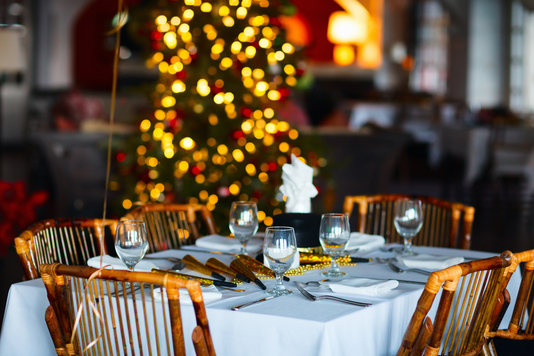 Ensure you have the restaurant funding in the form of low-interest loans and other sources so that you can bring in more gift card purchases than ever. Gift card marketing really is the gift that keeps on giving! Explore options for low-interest loans with fixed two-year terms and minimal documentation. ARF Financial can provide you a free, no-obligation quote for your restaurant loans in as little as 48 hours, and you could have your funding in just 3-5 business days! Click here to get started today.